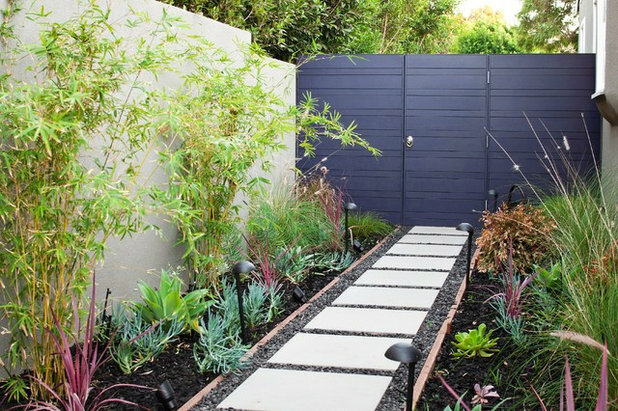 Should You Paint Your Fence Black? 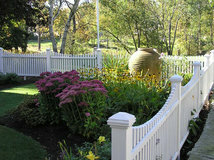 Need a new fence for your yard or patio? 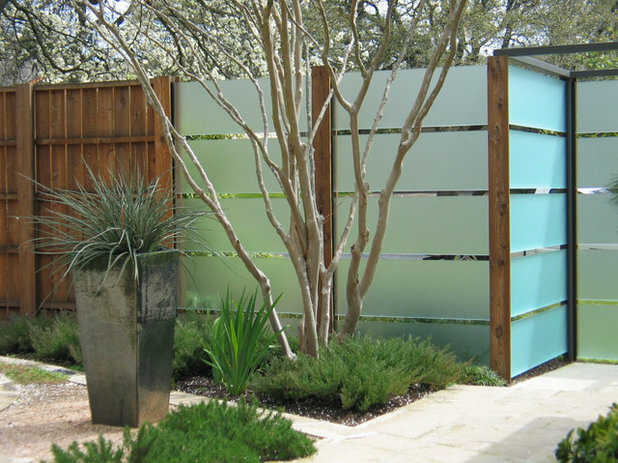 Whether you crave more privacy in your outdoor space; need to block chilly wind, mask a street view or secure your pool; or keep your dogs in (or deer out), we’ve got you covered. 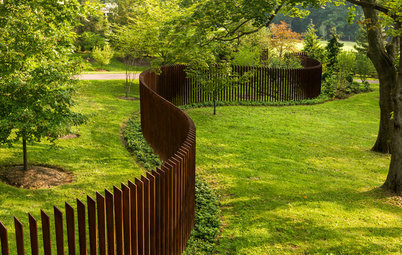 Here’s the need-to-know info on choosing the right fence based on space and needs. 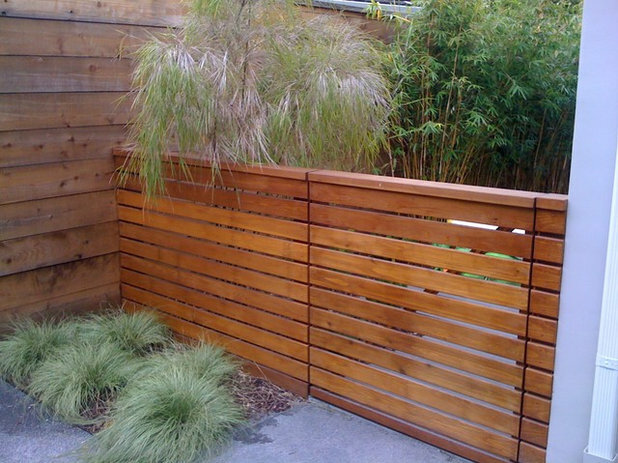 If you want true privacy, choose a fence with little to no space between boards. A closely spaced lattice can be nearly as private as a solid material when combined with the lush foliage of climbing plants. 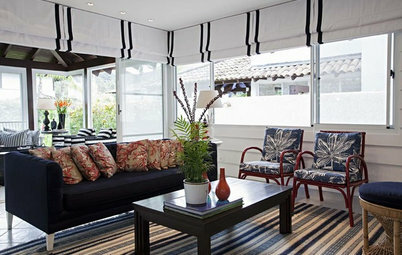 The height will depend on the slope of your yard and your neighbor’s yard, the position of your seating areas and any applicable local building codes. 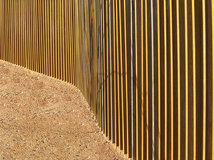 Try using a length of paper or cardboard the height of the fence you are considering, and have a friend hold it up while walking the perimeter of your yard. 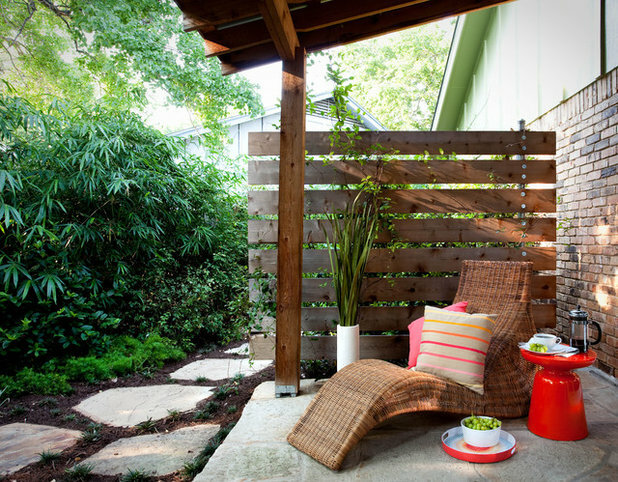 Stand up and sit down in each area of your yard to see if the fence will be high enough for your privacy needs. Consider going gateless. 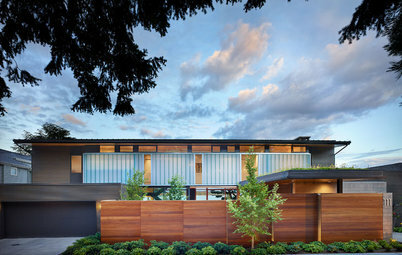 If ease of access is more important to you than security, consider forgoing the gate entirely and installing several offset fences to allow room for a path while blocking the street view, as shown here. 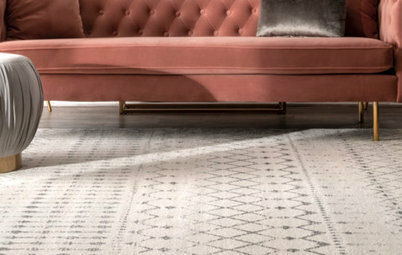 Consider a stepped design. If it seems like too much to have a tall privacy fence all the way around your yard, consider going with a stair-step design to get privacy just where you need it. 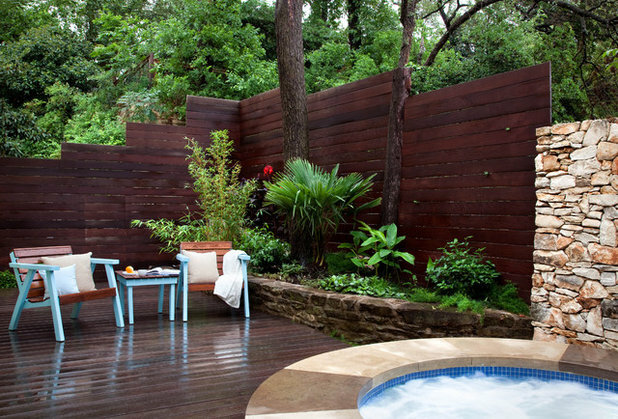 For instance, you could have a taller section of fence around your seating area and hot tub, and lower fencing beside the lawn. 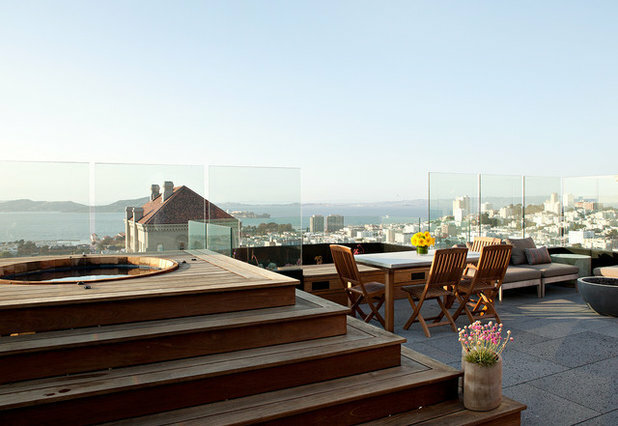 When you need to block strong breezes but don’t want to lose the light — or a grand view — the best option is glass, as shown on this stunning rooftop patio. 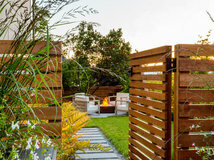 If blocking a view is not an issue, any privacy fence with few to no gaps between boards will work well. 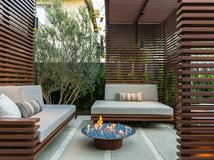 For height keep in mind that if you primarily need to keep the wind out of a seating area, the fence can be a few feet lower than around an area where people will be standing, such as around the grill. The most important features to have for a security fence are a taller height, a lack of places to grip and a sturdy, lockable gate. Any security fence should be at least 8 feet high, although you can add a few feet of trellis to the top of a 6-foot fence for security that doesn’t look quite so imposing. Choose a fence with flush boards and no horizontal rails on the outside, to deter potential intruders from attempting to climb it. 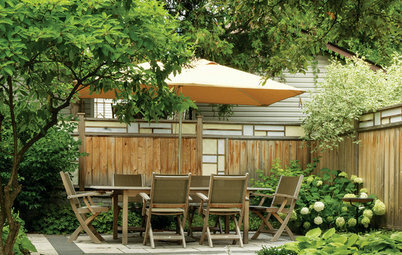 When your home is on a busy street, creating a peaceful backyard space begins with the right fence. 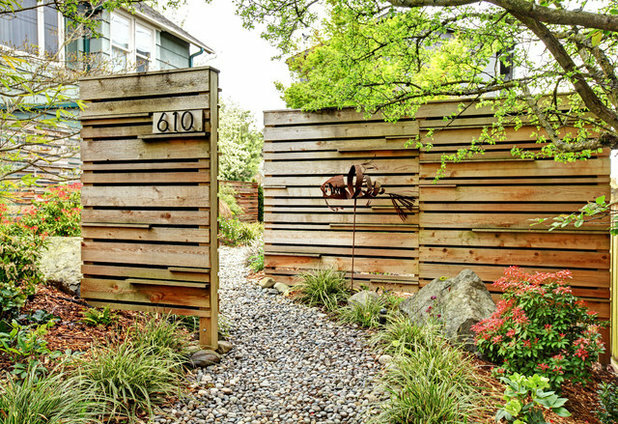 If you want to allow some light in, pick a fence with small gaps between boards (or even a lattice-like design) and layer lush plantings on both sides to provide additional privacy. 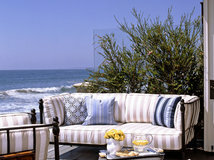 Or try a frosted glass design, as shown here. 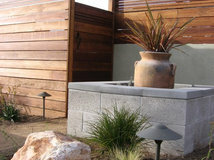 As with privacy fencing, it can be helpful to test out the fence height you are considering before you commit. The first step is knowing your dogs. Are they jumpers or diggers? How high can they jump? Are they likely to try to escape from your yard, or are they generally content to hang out? A 3- to 4-foot fence could be adequate for smaller dogs and those who do not jump; larger dogs will need something taller. If your dogs are diggers, bury the fence at least 6 inches underground or place hardscaping along the fence line. 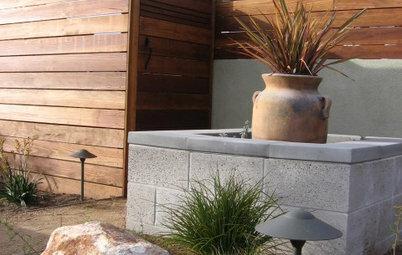 Consider blocking visual stimuli with a solid fence. 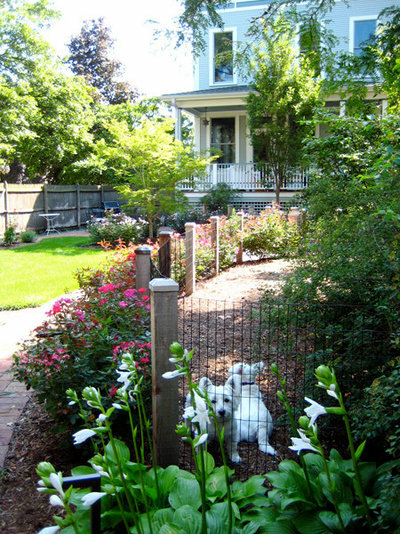 While nearly any type of fence can do the job of keeping your dog in the yard, if your dog is excitable or loves to bark, consider investing in a solid fence to block the visual cues (cars, pedestrians, cats) that get him going. Some deer can jump nearly 8 feet high, making it quite difficult to keep them out of garden beds using normal fencing. 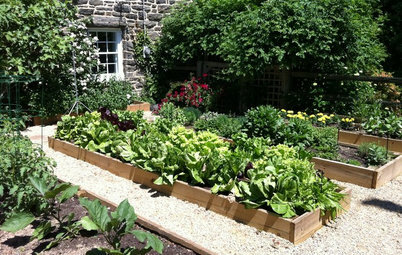 A solid privacy fence is ideal because it blocks the deer’s view of your tasty plants — it’s not likely deer will jump into an area if they can’t be sure it is safe. 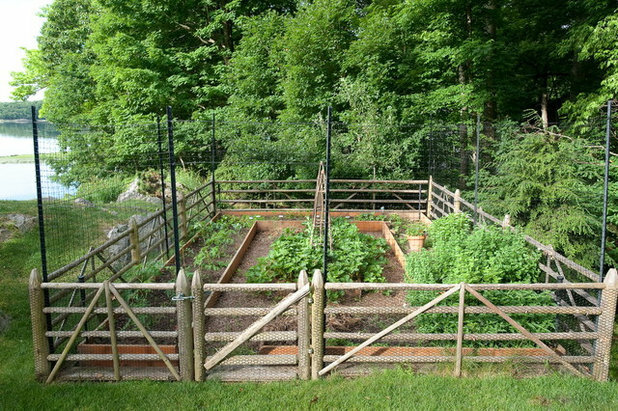 If privacy fencing is not desirable (for instance, you want to be able to see and enjoy your own garden), you can make a regular garden fence taller by attaching netting to taller poles, in effect making a taller (but nearly invisible) fence. Another option is to make your fence significantly wider by planting large hedges along one side — deer cannot jump as high if they must also clear a long distance. Even if you do not have children in your home, it is important to take steps to secure your pool — friends or relatives with children could visit, and neighborhood kids could try to sneak into your pool without your knowledge. 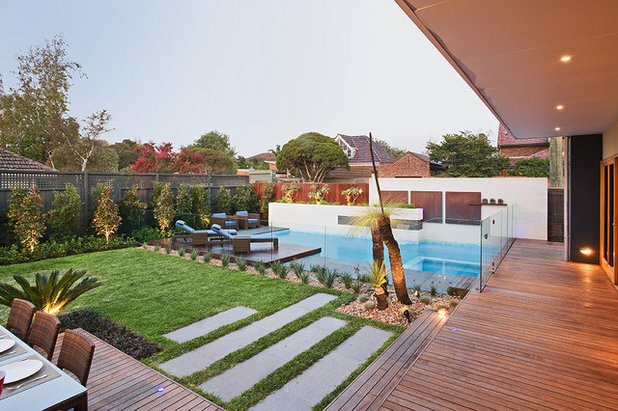 Be on the safe side by securing both your yard (with a security fence) and the pool itself. The U.S. Consumer Product Safety Commission’s safety barrier guidelines for home pools suggest using a fence with a minimum height of 48 inches, a maximum spacing of 1¾ inches between pieces and no handholds or footholds for children to use for climbing. 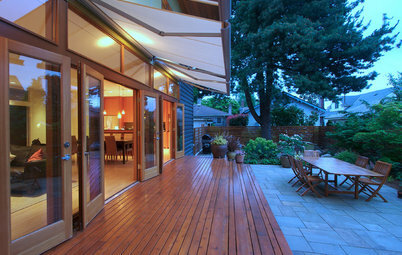 The gate should be self-closing, should be self-latching with a childproof latch and should open outward from the pool. 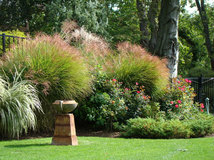 Check local building codes and apply for a permit if necessary. Find out where your property line is. 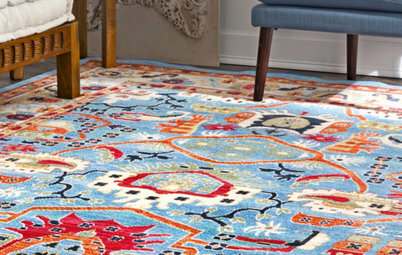 Hire a surveyor to map it out for you if you are unsure. Be sure there are no underground utility lines in the way. 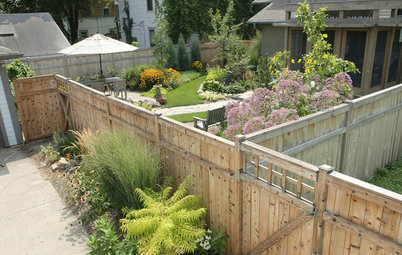 Tell us: Have a fence quandary? Share your challenges and questions in the Comments section. River Pebbles, Black, 20 Lb. My daughter just bought a house and I would like a fence to wrangle my grandchildren. What is the best type of fence just to define the play area for kids and nothing else?Security vs. privacy.